When you drive a DB9, DB11, or any other Aston Martin vehicle, the last thing you want is to be seen with dents, dings, bends, or body damage. EZ Dent has experience fixing all of these blemishes right away with a fast and effective process called paintless dent repair. Paintless dent repair, or PDR, is a process in which our skilled technicians use specialized tools to slowly massage the metal body of your vehicle back to its original glory. The process allows us to avoid putties, chemicals and bonding agents – and work with the original factory metal. One of the first questions Aston Martin owners ask is how much it will cost them. The price to repair your car will depend on the timeline, the type of dents, where on your car the dent is, the model and year of your car, and several other factors. You can count on the repairs costing much less than if you were to go to a body shop since all we do is fix dents. We have years of experience performing high-quality and fast work using the PDR process. And, the results will increase the market value of your car. Is PDR Covered by Insurance? The cost of paintless dent repair is almost always less than the customer’s deductible, but we are willing to advise you on whether you should involve your insurance. If you decide to go that route, we are more than willing to work with your insurer. *Disclaimer – EZ Dent is not affiliated with Aston Martin or authorized Aston Martin dealerships. 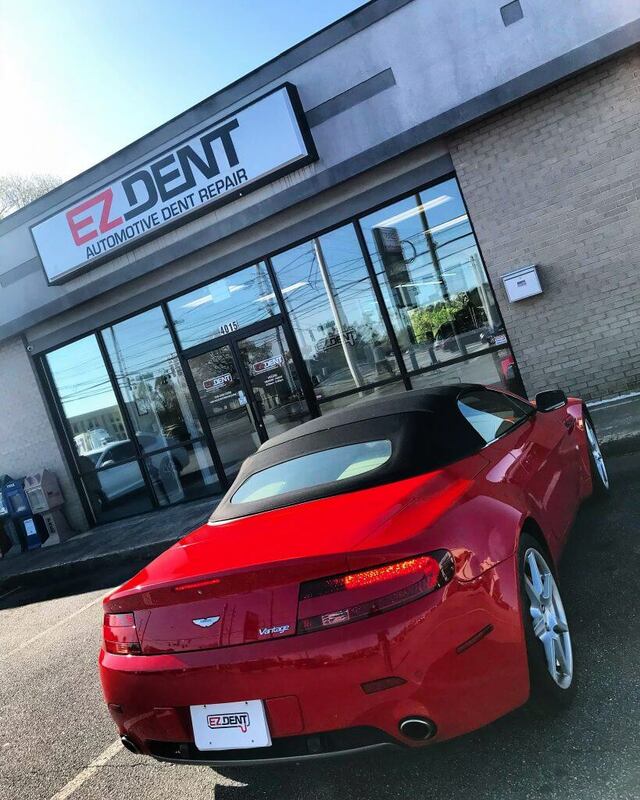 Whether you drive a Vanquish, Vantage, Rapide S, or any other Aston Martin vehicle, our business, based in Athens, GA and serving all of North Georgia, is here to help you with dent repair and removal. Contact us today.